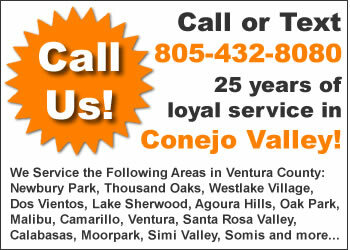 If you are looking for a residential plumber in Ventura County you have come to the right place. RG England Plumbing can help you with all your residential plumbing needs from the coast to the valley. Slow or clogged drains are annoying and unsanitary. They also get in the way of your busy daily routine. RG England technicians have many solutions for drain problems using the most modern methods. We will solve your drain issues quickly at a reasonable cost. It doesn’t matter if your drain problem is caused by roots, grease, mud or other material. We have dealt with nearly every type of drain problem. RG England features heavy duty drain auger equipment, which is extremely effective in eliminating blockages caused by food, sanitary wipes and hair. Our hydro jetting equipment is a proven solution for clogs caused by grease, fats, dirt or mud. This high-pressure system will solve some of the toughest drain problems. After our cutting-edge equipment solves your drain problem, we will leave the area clean and sanitary. There are few things more annoying than drains that take forever to empty. Buying expensive liquids rarely solves the problem. And you don’t want to store those bottles in your home, especially one with children. Those sold-on-TV gadgets aren’t much better. Instead call RG England and we’ll solve your drain problem quickly, professionally, and at a reasonable cost. A functioning water filter system is essential for a healthy household. Call RG England today for the latest in water filter systems, or repair services when there is a problem with your existing unit. RG England technicians are experts at installation and repair of home and pool gas lines. Tell us your vision of your appliance, heating and pool projects, and we’ll give you options for gas line installation. Do you smell gas in your home, or notice a higher gas bill? You may have a costly, dangerous gas leak. We use state-of-the art equipment to identify and locate gas leaks. Then we can conduct repairs that will make your home a worry-free place once again. Circulating pumps RG England can handle repairs of your circulating pump. We can perform retrofits and upgrades, or install new systems. Call us today about planned maintenance programs, emergency service, and repair of motors, valves and mechanical seals. When a water heater fails, you want to address the situation immediately, so you have hot water for showers, and prevent damage in your garage or other areas of your home. You also probably want to find a way to work the cost into your household budget. Call RG England for a stress-free water heater replacement or repair. Our technicians will make the process easy. We feature the latest models, and have years of experience performing flawless replacements. Your new water heater will be secured in excess of modern earthquake readiness standards. Best of all, we replace water heaters at a price that is very friendly to the wallet. Call RG England today for more details. Tankless water heaters provide a seemingly endless source of hot water, and they also save energy. No wonder so many home owners are choosing tankless water heaters when it’s time for replacement, or when building a new home. Tankless water heaters cost more than conventional water heaters, but over time will give a considerable return on investment because of their service life and other factors. This type of water heater has been known to last for more than 20 years. The new generation of water heater is also more environmentally friendly, costs less to maintain, and uses fewer materials. Water leaks can damage or destroy walls, floors, ceilings, closets, and possessions. Leaks can make a water bill skyrocket, and create expensive mold problems. RG England’s professional water leak detection service features trained technicians using state of the art sound and radar equipment. We can quickly isolate whether pipes are corroded or have faulty joints. Once we’ve found the leak, we repair existing pipes or replace damaged copper or plastic pipes. We use long-lasting, quality products, all at a reasonable price. RG England has extensive experience working on new construction jobs. 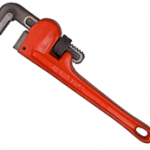 We obtain the finest components from a vast network of suppliers. Our technicians routinely work with contractors, subcontractors, inspectors, and others involved in the new construction process. New construction is complicated enough. Make the plumbing portion painless by hiring RG England. 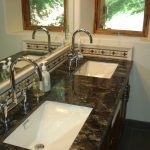 When it’s time to remodel your bathroom, call the professionals at RG England Plumbing Co. We’ll give you plenty of options, all at reasonable prices. And we’re experts at repiping jobs. So when it’s time to replace pipes, you can have confidence in us. We are honest about pricing, and you won’t have to worry about surprise billing. You will be happy with the level of service you receive. Many homeowners are interested in enlarging their showers. Some are willing to remove a bathtub for a larger shower, and others want to retain their tub. The expert technicians at RG England can provide you with many custom shower options. Choose from sliding glass panes, glass-hinged doors, and a huge selection of European designs. We’ll also inform you of drainage requirements and other necessary details. Damaged sewer lines can be harmful to the health of those nearby, and in general can create an extremely unpleasant environment. RG England technicians can diagnose and repair sewer systems and leave the affected area clean and sanitized. Sewer lines are damaged more often than people think, because of minor earthquakes, breakage by growing tree roots, and improper digging. When it happens, it’s best to tackle the situation quickly, working with knowledgeable professionals. Trenchless sewer repair uses a specialized hydraulic machine that can repair or replace broken pipes with minimal digging and property damage. Only two access points, at the beginning and end of the damaged pipe, are required. Sufficient space is needed to accommodate the equipment. Difficult sewer problems can be diagnosed and corrected using video inspection technology and tapping into the knowledge and experience of RG England Plumbing ‘s expert technicians. Guessing about sewer problems can lead to futile and expensive repairs. Take the mystery out of sewer repairs by calling us today. Our high-tech solutions will save you time and money. Showers are used daily and are an important part of the day for everyone in the house. When a problem arises, or it’s time to replace the shower head, call RG England. Minerals build up in shower heads and decrease the flow of water. Sometimes you don’t notice, because you use the shower every day, and the build-up is gradual. When you’re ready to have your shower perform is it supposed to, call us. You’ll love that first shower when the water is falling the way it is supposed to. Imagine coming home at night after a stressful day and easing into a warm spa tub that relaxes the senses and stimulates the body. Let RG England show you the new generation of spa tubs that are quiet and peaceful. Jet-less type tubs are the perfect antidote for a chaotic society. And our spa tub installations look great too.